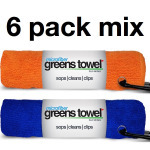 Today’s golfers need golf towels to keep equipment in peak condition. 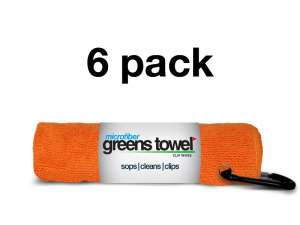 That’s why so many younger golfers are buying our microfiber golf towel orange 6 packs. Our Orange Crush is the best selling golf “make a statement” color. An orange golf towel is a color that everyone will notice. 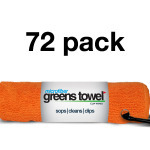 New golf tournaments, and young golfers everywhere all love an orange golf towel. Perfect size – Many golf towels are just too big. 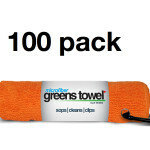 Greens Towel is correctly sized (16″x 16″) to keep handy in your back pocket so it’s there when you need it. Awesome golfers gift idea – Weddings, Birthdays, Fathers Day, and Christmas and Special Events. Experience the benefits of Greens Towel and save on our microfiber golf towel 6 packs. Orders over $25.00 receive Free Shipping.